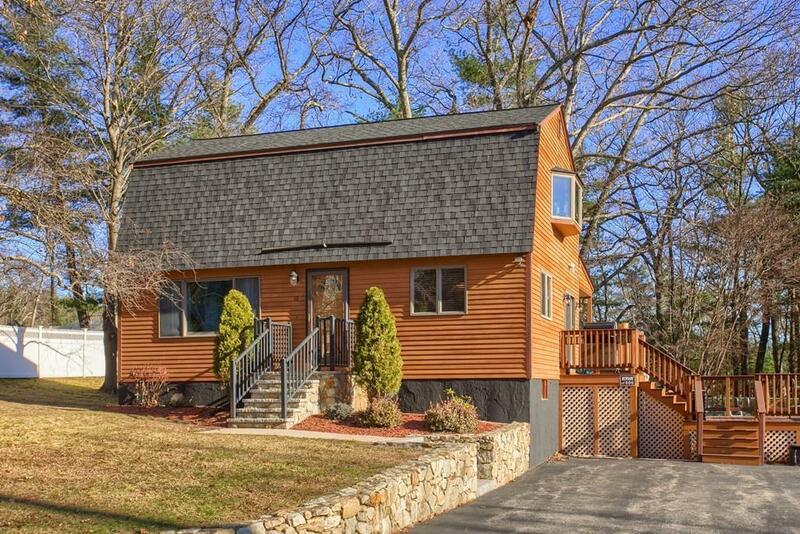 **EXCEPTIONAL BILLERICA HOME. Move right in to this beautiful corner lot home on a quiet dead-end street. Meticulously maintained both inside and out. Entertain family and friends with private decks, patio and in-ground pool. Many updates including Kitchen with granite, mosaic back-splash and stainless steel appliances. 2 Full baths, completely updated. Hardwood floors throughout main level of home. Interior is tastefully and freshly decorated with neutral tones. Nicely finished lower level with cozy carpeted family room and work-out room. Must see large finished utility/laundry room with plenty of storage and prep area for outside entertaining. Walkout to patio and pool area with outdoor speaker system. Two tiered decks (one covered ) overlooking fenced-in pool area. The outside boasts of professional landscaping, beautiful stone walls, granite steps and updated roof cover (2017). Large barn on property is a handy man's dream, awaiting your projects!